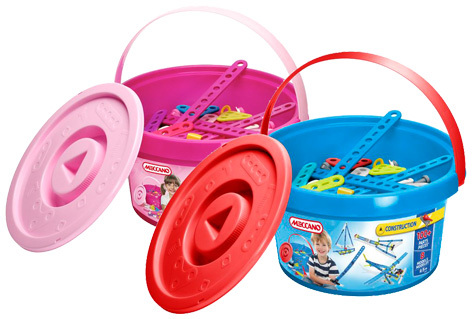 Meccano's 100 piece Construction Buckets aim to be the ultimate starter construction set for little hands. Available for the first time in both blue and pink versions, the buckets give children aged five years and over the power to create their own mini-masterpieces in gorgeously vibrant colours. Perfect for improving hand-eye coordination and problem-solving skills, these chunky building blocks are not just great fun but are packed full of educational benefits too. The natty, super-simple instructions that are included in every bucket will put your little one in the driving seat, on-route to creating their very first models. A fish tank, magic wand – and of course, a building – are three of the first models that kids are invited to master. As they grow in confidence they can start to invent their models and the possibilities become endless. Priced at £19.99 and containing all the tools and instructions required, we think these buckets offer superb value for money. 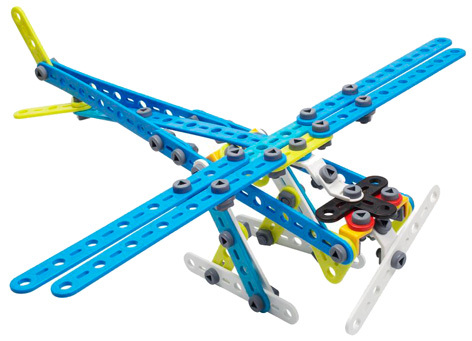 Please tell us what you think of the 100 Piece Construction Buckets by Meccano.